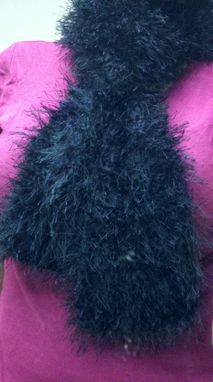 This scarf is fun and furry, while still adding warmth to the neck during the cold weather. This scarf will add pizazz to your wardrobe! Your daughter, sister, niece, granddaughter, friend or other loved one may also find this as a fun, thoughtful gift.